Preventative maintenance is one of the most important components of successful property management. Preventative maintenance is used to foresee any potential problem. 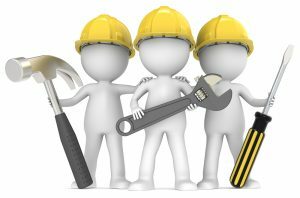 An aggressive preventative maintenance program should be developed for both large and small properties, whether building staff consists of only a part-time maintenance worker or a larger number of employees supported by a computerized maintenance program. Maintenance should be performed on a regular basis to reduce equipment breakdowns and service interruptions. Toward this end, the maintenance staff or an on-site manager should make periodic inspections for the repair and replacement of items before problems occur. Preventative maintenance reduces the number of emergencies by anticipating wear and tear that the property, buildings, and equipment with undergo. Emergency maintenance is a form of corrective maintenance the requires immediate action to correct situations that threaten the life and health of tenants as well as the integrity of the property. These situations can be created by fires, floods, or malfunctioning of major equipment (e.g., broken elevators, gas or water main leaks). 1. Prepare an inventory of all items that require servicing during the year. 2. Determine the type of service, frequency, and cost efficiency of performing the work required by each item. 3. Schedule the work throughout the year. 4. Control and revise the preventative maintenance program as needed. Careful preventative maintenance eliminates corrective and emergency repairs later. While many owners and managers consider preventative maintenance to be a poor use of cash, and some may claim to have no time for it; identifying problems in early stages saves both time and money. This entry was posted on Monday, June 11th, 2018 at 4:24 pm	and is filed under BLOG.